When I used to read this I would think, “Why would God associate with a serpent? Aren’t they bad, like Garden of Eden bad? Why choose this as a miracle?” When posing these types of questions about the Exodus event to a good friend and he pointed me in the right direction and encouraged me to make a study of finding answers. Here are some of the answers I found in my studies. Why turn the rod in to a serpent? Why a serpent? Have you ever seen Pharaoh’s headdress? Recall the cobra at the crown of Pharaoh’s head. In Egyptian culture the serpent represented spiritual authority. The serpent on Pharaoh’s headdress was a statement that he held supreme spiritual authority. When Moses turns the rod into a serpent it is much more than a miracle, it is a statement that Moses through God had the spiritual authority. Pharaoh’s whole existence was based on the fact that he was god. The one and only true God sent Moses to put Pharaoh in his place. I have come to believe that this was a statement and a warning of things to come. Why I AM WHO I AM? When Moses asks God who to say sent him, God says tell them I AM sent you. According to ancient Egyptian culture and beliefs there was one god who was self existent, whom all the other gods came from, and who was the king of their gods, they called him Amun. I AM is from the Hebrew יְהֹוָה meaning “I am the existing one”. Or put another way, nothing besides myself contributed to my existence. So when Moses called out to Pharaoh that I AM says let My people go. Pharaoh, though through a perverted form of the undeniable truth, knew to pay attention. Why the 10 plagues that were chosen? One of my friends likes to refer to the 10 plagues as the 10 smack downs. Let me explain his titling. The 10 plagues start off with turning the Nile to blood. Interestingly enough the Egyptians worshiped gods such as Khunum, the god and guardian of the Nile. The plagues continue on picking off Egypt’s top gods one after another and in groupings. For example, there were several prominent Egyptian gods associated with the Nile. The more I study them alongside the plagues the more amazing the event becomes. God has all the authority and He did not leave a shred of doubt to that end. The 10 plagues end with two of the most affront attacks on Egyptian beliefs. 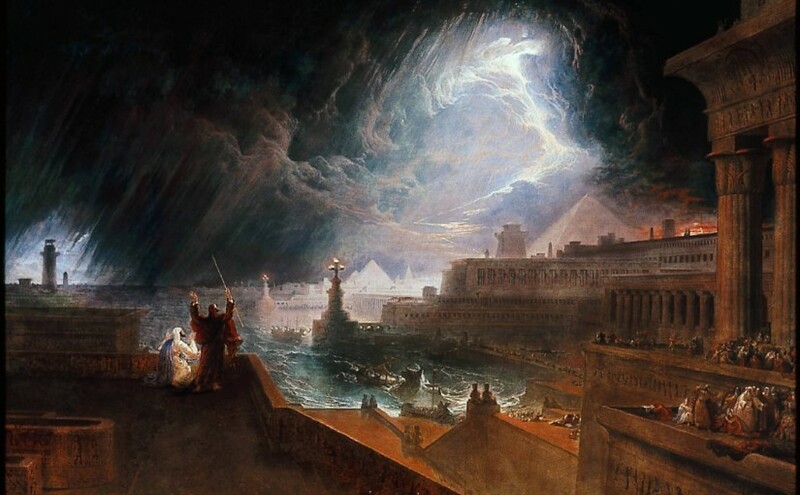 The 9th plague is directed toward two Egyptian gods, or rather one combined god. Amun and Ra combined to Amun-Ra. Amun, mentioned above, was believed to be the creator of all other gods and the king of the gods. He was somehow combined with Ra, the god of the sun, to form a some sort of super false god, Amun-Ra. 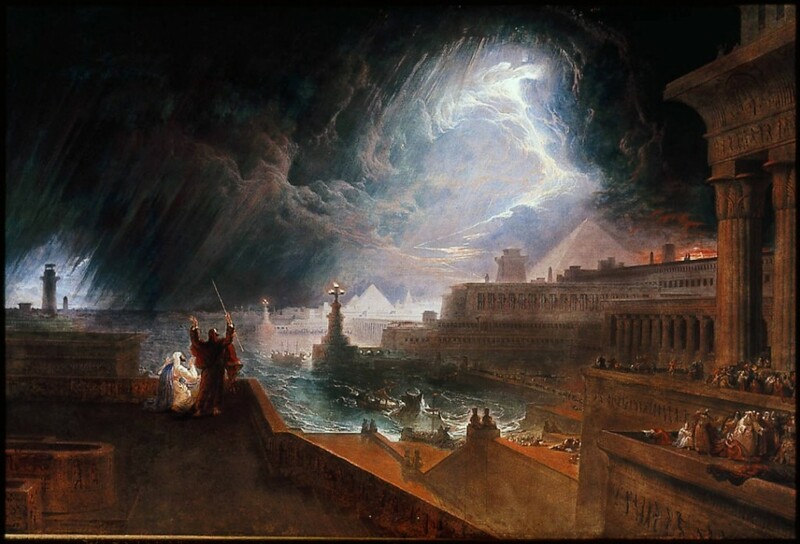 The 9th plague blotted out the sun, as if to say “I AM is here to say your mega super false god does not have any spiritual authority.” Lastly, the 10th plague targets the god who is most real and most highly worshiped to the Egyptian people, Pharaoh himself. Considered to be the son of Ra, this plague takes the next in line, cutting off the linage of the people’s greatest connection to their gods. A bit of history. Interestingly enough, in 1400 BC, about 50 or so years after the last plague, Pharaoh Akhenaten changed Egypt into a monotheistic culture claiming there was only one true god and pointing to a “war” among the true god and the other 1,000 plus false gods, in which the false gods were destroyed. Temples and statues of the false gods were abandoned and even destroyed. A new city was built and dedicated to this one true god. No images of the god were allowed to be created. No worshiping of the other false gods was allowed, with strict enforcement in the new Egyptian capital city. Amidst other societal and political pressures many high standing priests lost their power. After Pharaoh Akhenaten died and his second son, Pharaoh Tutankhamun, or perhaps you, as I, know him, King Tut, took power, working with his advisors they returned the Egyptian people to their polytheism roots. But the history of Egyptian culture’s brief encounter with a monotheistic belief structure remains. The more I study the history behind this event, the more I find that the truth cannot be denied.